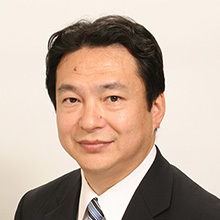 Koji is Principal at Arthur D. Little in the Tokyo Office, leading the Chemicals Practice in Japan. He is also actively involved in our global Technology & Innovation Management Practice. Since joining Arthur D. Little in 2009, he has focused on business strategy development and implementation in chemicals and industrial materials, collaborating with such practices in application industries as healthcare, automotive and industry. His experience covers a variety of performance materials for differing applications by applying frameworks to optimize opportunities as the cross-point of technology/innovation platform enhancement and changing markets. He has also led many business due-diligence projects and PMIs. Prior to joining Arthur D. Little, Koji worked for a global strategy consulting firm, leading its energy & chemicals team in Tokyo. Before that, he worked for Toray Industries, Inc. as senior corporate staff. His areas of focus in both positions covered business portfolio management, organic/inorganic business development, turnaround and PMI management.